Mark your calendars and start booking your flights because 2017 is going to be a busy year for the art world. In addition to the art fairs, this year brings a global itinerary of events like Documenta, the Whitney Biennial and Desert X. From inaugural editions to well established biennials, here are just a few of the most anticipated art exhibitions of the year. 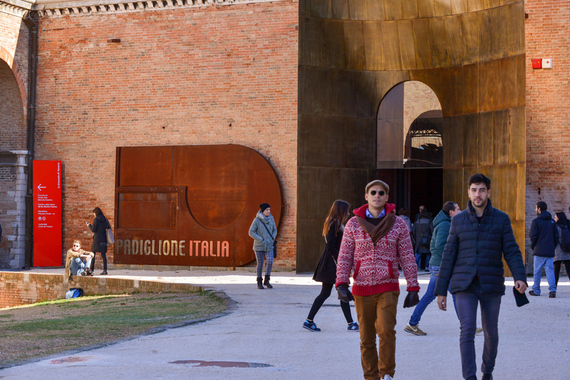 Taking place from May 13 to November 26, the 57th Venice Biennale is curated by Christine Macel who has served as the Chief Curator Musée national d'art moderne - Centre Pompidou in Paris since 2000. Biennale President Paolo Baratta stated, "In the wake of the Biennale Arte directed by Okwui Enwezor, centred on the theme of the rifts and divisions that pervade the world, and aware that we are currently living in an age of anxiety, La Biennale has selected Christine Macel as a curator committed to emphasizing the important role artists play in inventing their own universes and injecting generous vitality into the world we live in. Her experience in the Department of "Création contemporaine et prospective" at the Centre Pompidou in Paris has long offered her a vantage point rich in potential from which to observe and identify new energies coming from various parts of the world". The much anticipated Documenta will split itself between two locations, Athens, Greece from April 8 to July 16 and Kassel, Germany from June 10 to September 17. The exhibition is titled "Learning from Athens" and will focus on the changes happening in Europe and its similarities to those in 1965, the founding year of Documenta. Held every ten years since 1977, Skulptur Projekte Münster will take place from June 10 to September 17 in Münster, Germany. Skulptur Projekte believes that "art in the urban realm is capable of activating historical, architectural, social, political and aesthetic contexts." They see potential in the creation of spaces, developing site-specific works throughout the city that encourage public participation. The fifth edition will feature artists such as Claes Oldenberg, Bruce Nauman and Rebecca Horn. The Garage Museum in Moscow, Russia will launch the first edition of the Russian Art Triennial to coincide with the centennial of the Russian Revolution. The Triennial is lead by Garage's Chief Curator, Kate Fowl, and will take place from March 10 to May 14. This spring, the Coachella Valley will be home to not just the popular music festival, but Deser X, an exhibition that "will focus attention on and create conversation about environmental, social, and cultural conditions of the 21st century as reflected in the greater Palm Springs area." 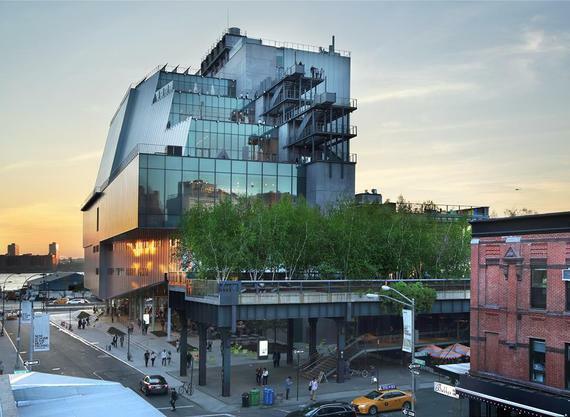 Notable members on the board and advisory team include Ed Ruscha, Beth Rudin DeWoody, Ximena Caminos, Hans Ulrich Obrist, Eric Shiner, and Franklin Sirmans. Desert X is produced by the Desert Biennial and runs from February 25 to April 30. This year marks the inaugural year of the Honolulu Biennial, which will take place between March 8 and May 8. Showcasing "the diversity of ideas, art, and culture from the people who live today throughout the places connected by the Pacific Ocean," the biennial is directed by Fumio Nanjo of Tokyo's Mori Art Museum and curated by Ngahiraka Mason, a former curator at the Auckland Art Gallery Toi o Tāmaki. 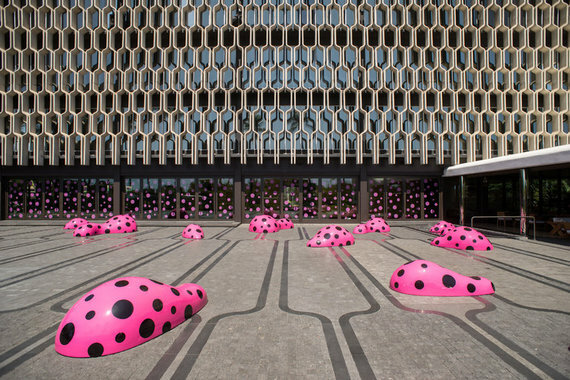 The biennial will also feature an installation by Yayoi Kusama, whose much anticipated retrospective opens at The Hirshhorn in February. The 15th edition of the Istanbul Biennial will be curated by Elmgreen & Dragset, who most recently presented Van Gogh's Ear, a swimming pool sculpture that was installed in Rockefeller Center in 2016. The duo stated that "In light of the current global geopolitical situation, in which we're experiencing a new rise of nationalism, it will be important for us to curate a biennial based on collaborative efforts and processes. Collaboration is something that feels natural to us, since we have been working together as an artist duo for more than twenty years. A biennial can be a platform for dialogue, and a format in which diverse opinions, perspectives, and communities can coexist." The Istanbul Biennial takes place from September 16 to November 12.